Double can be interpreted in many ways. 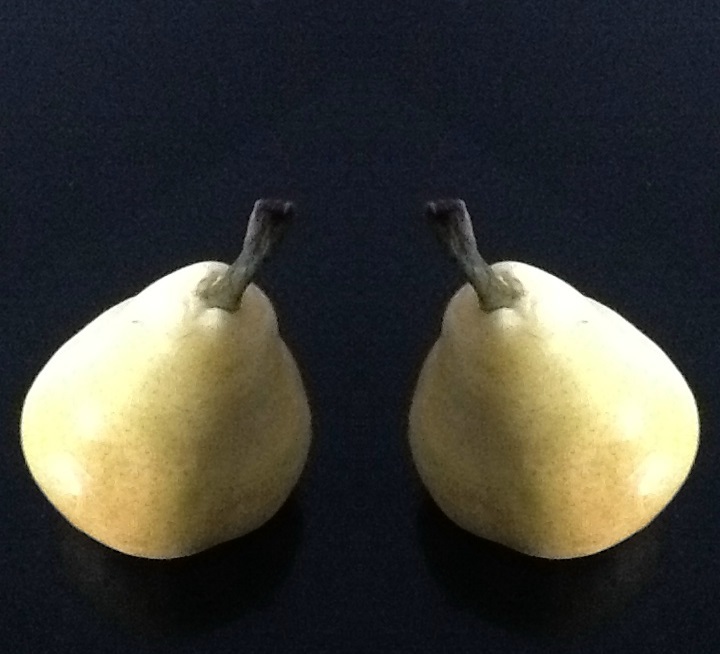 In a moment of inspiration – I thought – a pair of pears! Alas – there was only one left. But as I am sure someone said somewhere, “don’t let the truth get in the way of a good [photo] story!” So I used my technology and a pear became a pair! You’ll note the light gives my trick away!